The ReliaBilt 3201 window is the low end double hung vinyl window from Reliabilt and is an updated version of their 5600 Series. The window uses a fusion welded sash and fully welded frame, 3.25" jamb depth, three distinct grid options and can be purchased in either an interior an exterior almond or white. Standard features on the 3201 model include a beveled frame profile, single strength glass, a constant force balancing system, a half screen, tilt in sashes for cleaning, 2 cam locks, and double ventilation latches. The Reliabilt 3201 Series is sold through Lowes and should be available across the country. It is one of the less expensive Reliabilt vinyl window options and therefore not one of the windows we would recommend. I would prefer consumers go with Reliabilt 3500 or 3900 Series. Consumers can expect to pay $15 to $20 per square foot for the ReliaBilt 3201 window itself, depending on the upgrades, features and glass options you opt for. The ReliaBilt 3201 is comparable to Amsco Serenity costs and Silverline 2900 windows prices. 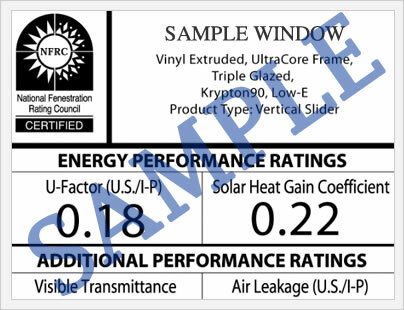 In terms of ratings, the 3201 double paned double hung window will deliver a U-factor of 0.30, an SHGC of .19 and a design pressure rating of 35. The window is Energy Star compliant in all 4 zones. For an entry level window, these numbers are pretty impressive. ReliaBilt is one of the economy brands that we often recommend for consumers who are shopping at the big box stores like HD and Lowes. The 3201 Series includes a lifetime warranty on the insulated glass. 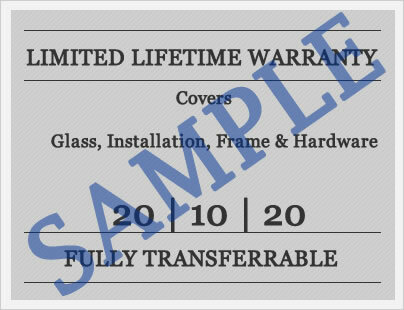 The warranty is transferrable one time only, although the new owner will be covered for only 10 years from the date of purchase. There are the usual exclusions and limitations that go along with the Reliabilt warranty. Have ReliaBilt 3201 windows reviews to share with consumers and homeowners who are researching this window for their window replacement project? Share them here and have your voice heard. Do you have questions on this economy vinyl window? Our editors can help answer your questions on this window or any other window you may be considering. Include your email if you would like us to contact you back directly or we will simply post your question and our answer on this page, usually within a week.